The community of Jagare Ridge in Edmonton offers a delightful wonder; a golf course community located within city limits. Situated in the Whitemud Creek Ravine, the community is in a remarkable area. Calling the southwest home caters to many families deciding to build their new homes in Edmonton. The Jagare Ridge community is located just south of Ellerslie road and west of 141st SW. The areas available to build your new home are intertwining with the golf course and many of the homes feature walkouts backing right onto the course. There are a variety of Jagare Ridge home builders to choose from. The low density of the neighborhood means quiet, safe streets. The southwest of Edmonton is one of the most sought after areas, and it's easy to see why Jagare Ridge follows suite. With quick access to Currents in Winderemere, South Edmonton Common and the Anthony Henday, it's easy to imagine why you'll love Jagare Ridge. The Jagare Ridge waterfall welcomes you home at the east entrance to the community surrounding the 15th hole on the golf course. Variety in home styles creates beautiful street scapes that are different from normal new home communities. We can make your new home in a Craftsman, French Country, Modern Contemporary, Tudor, Prairie, Georgian or Contemporary International flavours. 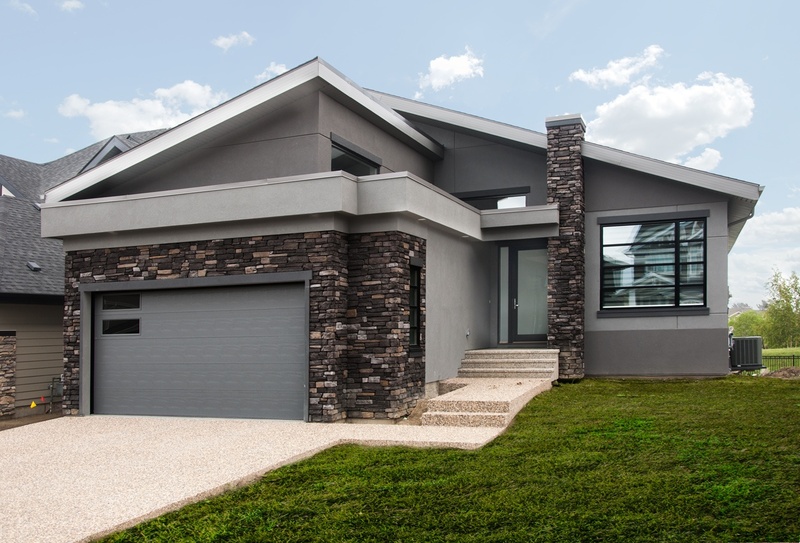 Jagare Ridge is one of the few places for home builders in Edmonton to incorporate unique, flat roof exteriors. When strolling down the streets or welcoming your guests into the community, the different styles set this neighborhood apart from the rest. We've built many homes for happy clients in Jagare Ridge and we'd love to know what you would like in your dream home. Want to know more? Download the Jagare Ridge lot map. What do you think about Jagare Ridge? Let us know in the comments below.